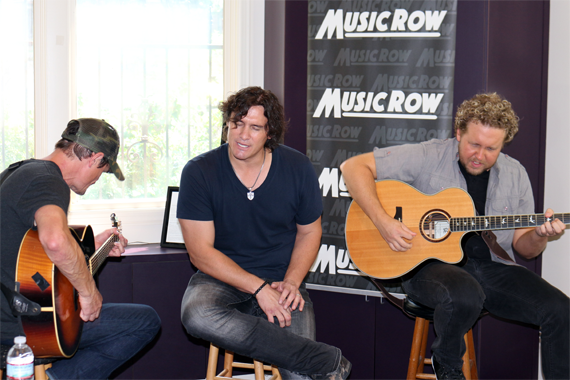 Joe Nichols performs acoustically for MusicRow. 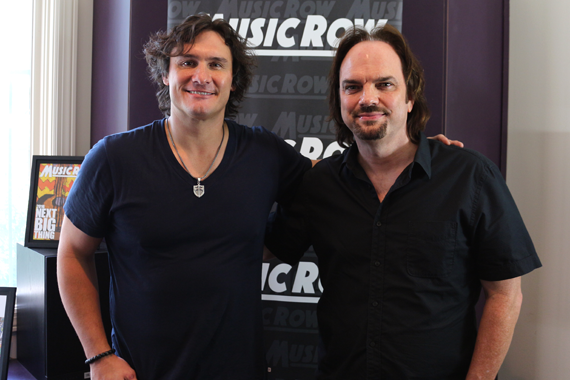 Joe Nichols’ latest album for BBR Music Group/Red Bow Records, Never Gets Old, is aptly named. The project, which releases today (July 28) finds Nichols doing what he does best—wrapping his warm, welcoming baritone around evocative lyrics and traditional country melodies. The new album balances stunners such as the comforting, romantic title track (produced by Brent Rowan), and the empathetic “We All Carry Something,” with more light-hearted fare including “I’ll Sing About You” and “So You’re Saying.” Nichols fans will recognize “Billy Graham’s Bible,” produced by Tony Brown and Mickey Jack Cones, from Nichols’ previous album, 2013’s Crickets. During a visit to MusicRow, Nichols performed several tracks from the album, including “Tall Boys,” and “Diamonds Make Babies,” which astute country fans will remember from Dierks Bentley’s 2012 album Home. Though there is a nearly four-year span between Crickets and Never Gets Old, it is not due to a lack of hard work. Nichols and producer Mickey Jack Cones undertook the arduous task of building, dismantling, and reconstructing the project until it presented a unified sound. Once Nichols and Cones were nearly eight cuts into the making of the album, they realized some songs were leaning more progressive, while others harkened back to the more staunchly traditional songs found on Nichols’ earliest albums. Nichols and company were still in the process of listening to, selecting, and recording new songs for the album in mid-2017. Some of the last songs to make the album, “Diamonds Make Babies” and the title track, were recorded in May. While Never Gets Old might be one of Nichols’ most traditional-leaning albums to date, listeners might do a double-take upon hearing the album’s closer, Nichols’ countrified revamp of Sir Mix-a-Lot’s 1992 hit “Baby Got Back,” which topped the Billboard Hot 100. The song has been part of Nichols’ live show for a few years, and began as a joke on his band members. 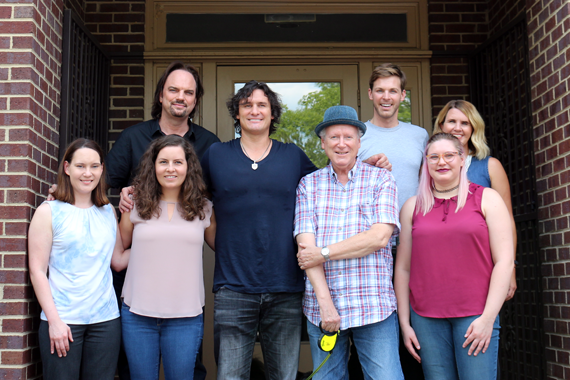 Joe Nichols with MusicRow staffers. Fans and the band took to the twangy remix, so Nichols and his band added the song as a standalone in his set, before deciding to add it to the album, along with hilarious improvisations from comedian Darren Knight, who brings his popular “Southern Mama” character to the track. Nichols’ rendition of “Baby Got Back” even earned Sir Mix-a-Lot’s stamp of approval.